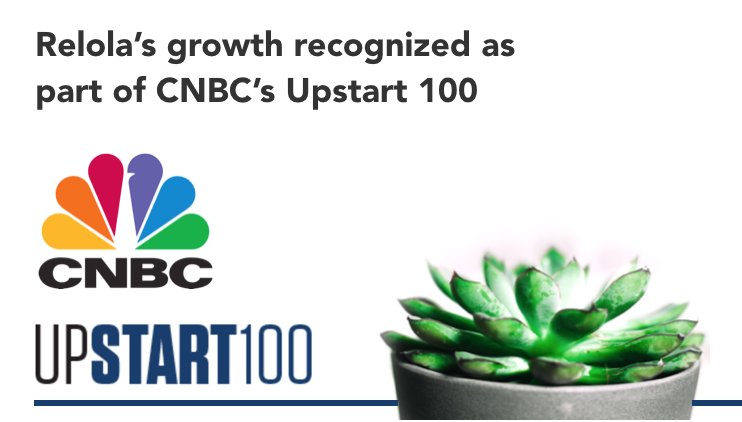 ENGLEWOOD CLIFFS, N.J., October 9, 2018 ― CNBC, First in Business Worldwide, today announced the Upstart 100, a list that showcases a diverse group of up-and-coming companies that are breaking barriers on the path to becoming tomorrow's household names. The 2018 Upstart 100 list features rising companies* spanning nearly every sector, including fintech, health tech, cybersecurity, retail, and more. To view the list in its entirety, visit: https://www.cnbc.com/2018/10/09/cnbc-unveils-its-list-of-100-promising-startups-to-watch-in-2018.html. A year ago, CNBC launched the first Upstart 25 list with the premise that an increasing number of companies were racing out of the starting blocks to become impactful, revenue-generating ventures. For 2018, CNBC has quadrupled the size of the list with the goal of highlighting a more diverse group of companies. Through this, CNBC also provides a clearer picture of where venture capitalists are placing their bets on the future. As the richest private startups start to head for the exits and the IPO market continues to heat up, venture capitalists are increasingly making bigger investments in earlier stage companies. These early injections of large amounts of capital are seemingly resulting in an influx of young companies with the potential to become acquisition targets, unicorn startups, or public companies. CNBC will air coverage of the 2018 list throughout the day. Additional reporting will appear on CNBC.com/Upstart.